We are going to look at a longer term view for GBP/EUR, instead of the usual one week horizon. This is a weekly chart stretching back to Brexit in June 2016. Last week, I mentioned that Theresa May’s Brexit bill defeat did NOT hurt the Pound, and in fact it closed higher. This was significant, because for the first time in a year, the bad news, which should send the Pound down, was already discounted and absorbed by the market. 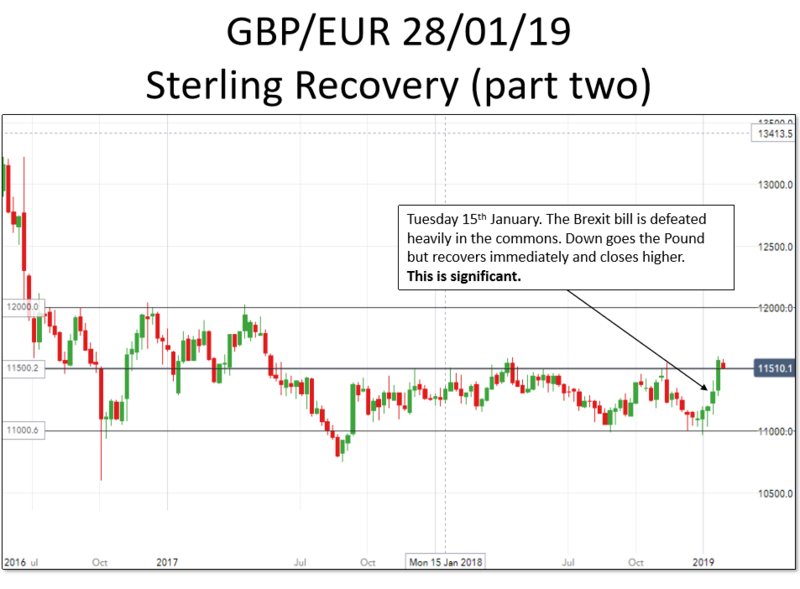 Looking at the longer term chart it is very clear that after Brexit the range for GBP/EUR was 1.1000-1.2000, and in fact for the last year it has been 1.1000-1.1500. 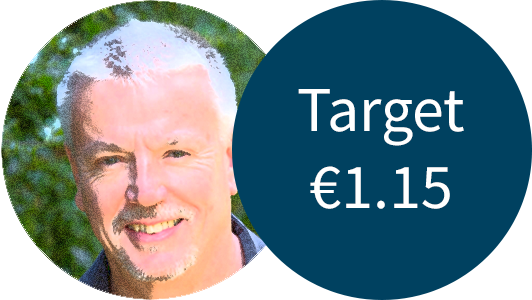 Everyone has been talking the Pound down, especially against the Euro, with the exchange rate dropping below parity (1 Pound buying 1 Euro) as being almost a “given”. But it is not, and in fact is climbing above 1.1500, for the first time in 9 months. I am not going to get involved in a political diatribe here, but one thing to consider – just what do they actually want in Brussels?? Last week I thought that 1.1400 was a good level to buy Euro’s, and we have seen 1.1500 and above. These are the best Euro buying rates we have seen since April 2018. We may yet enjoy better rates for the Euro than we did in summer 2018. So why not buy half now and wait? You will either lock in half your holiday Euro’s at the best rate for a long time, or if the rate gets even better, it will truly be a much cheaper holiday experience.